How Can I Migrate Google Plus Comments to Blogger Comment Fields? Google has decided to shut down Google Plus, and this decision has an unexpected effect on blogs running using Blogspot. Most of the Blogger bloggers enabled Google Plus comment feature on their posts. Since the Google Plus feature is going to its end, Blogger has no option to show Google+ comments. This change will not affect the Blogspot bloggers who have not activated Google+ comment feature, but for others, it is a piece of bad news. This article checks the scope of migrating the Google+ comments to Blogger Comments or retain those comments under the blog posts. Look at the screenshot below. It is the warning I have received from the Blogger team today. According to this warning, Blogger will remove all Google+ button integrated with Blogger themes. Any custom made themes with the Google+ button will not work even if the button remains. This message says that the support for Google+ comments will be turned down, and all blogs using Google+ comments will be reverted back to using Blogger comments. Another shock is the removal of Google+ Followers and Google+ Badge from the template. We are no longer able to use them. The Blogger Social Share button no longer shows the Google+ button. The million dollar question is whether we can migrate the comments made from Google+ profiles to our Blog and retain there? The important portion of the warning tells the Blogger view on this question. I have highlighted the important Part of the warning. That portion is, Unfortunately, comments posted as Google+ comments cannot be migrated to Blogger and will no longer appear on your blog. To read more about this news from the official source, visit the link below. How Can I Migrate and Keep Google+ Comments on Blogger Blog? 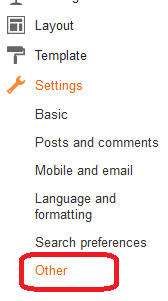 We do not have any tools available yet to migrate Google+ comments to Blogspot. However, there is a workaround for this problem. It is a very boring process to copy the Google+ comments and publish them as new comments using the name and URL field. As long as Blogspot is not ready to provide any automatic migration tool, it is the only option. But before doing this, I recommend you to take backup of the posts and comments using the Blogspot Comments and Posts Export feature. It helps to save the existing posts and comments on our computer. To do this follow the steps below. As far as I know, many bloggers are unhappy about this new policy change. How to Make JioFi Invisible? However, we need to save the precious user comments first before they get deleted. Wanted to contact you for an interesting upcoming project for a client. Would you be able to share your email id and contact number with me.